The sun peeking through the clouds, setting on the beautiful Oregon Coast viewed from the Cavalier. 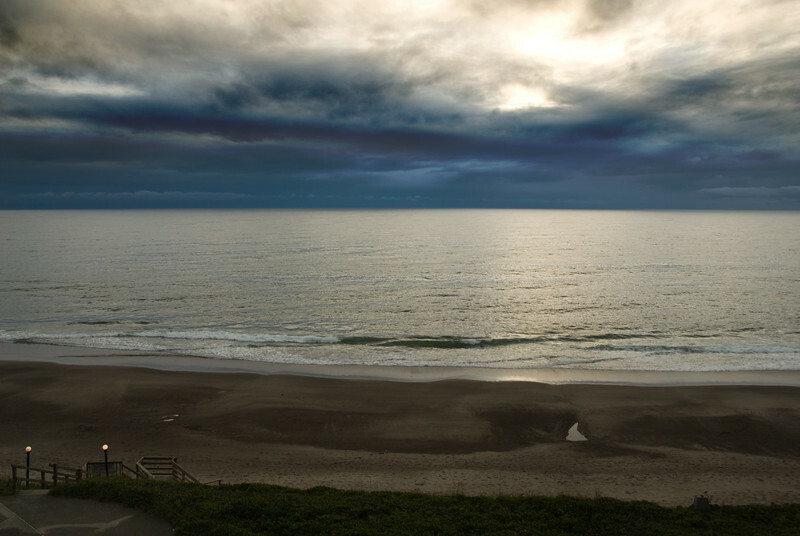 The sky is dramatic, but the ocean is not, and it seems a little dark overall. Eileen: I love the blues of the sky, and the lights on the beach. Definitely Oregon.